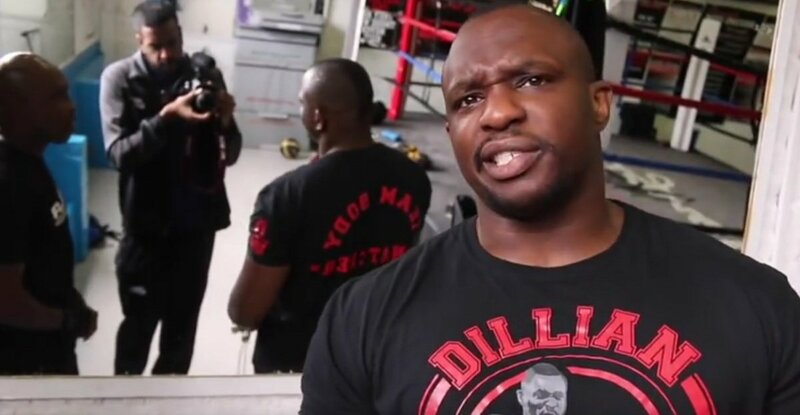 If you had to choose which fight to pay for as they took place on the exact same night, which clash would do it for you: Dillian Whyte against Dereck Chisora in a return showdown, or Carl Frampton against Josh Warrington in a featherweight world title clash? Well, chances are you will indeed have to decide which of these two pay-per-view events to buy in December (unless you’re a money bags and can afford to buy both cards; but even then, you could only watch one main event as it played out live). The word is Eddie Hearn is looking at trying his best to make the domestic heavyweight return on December 22, at The O2 in London. That same night in Manchester, Frampton and Warrington are reportedly “99 percent likely” to fight. Chisora against Whyte would go out on Sky Sports P-P-V, while the featherweight dust up would go out on BT Sports P-P-V. Hearn, in speaking with IFL TV said the 22nd is the only date available in December and that The O2 is the only available arena. The fact that his card will go head to head with a Frank Warren card (again, Frampton against Nonito Donaire going up against Amir Khan-Phil Lo Grego a while back) is just business, and is absolutely nothing against Frampton or Warrington or Warren. Still, at such a close time to Christmas Day, when money is almost certainly going to be tight, fight fans will suffer. If you can afford to buy one of these cards, which one will it be? On the one hand, the featherweight clash is a world title affair. But on the other, the heavyweights always pull in the fans. Also, Whyte vs. Chisora was a classic slugfest and there could be more drama in a return. These two British heavies have a healthy dislike for one another and their rematch is a fight fans have been calling for ever silence they went to war for 12 full rounds back in December of 2016. But maybe the 126 pound battle will do it for you. Frampton is often in great fights, while Warrington has an army of fans, fans who will alway watch him fight (although most of the IBF champ’s fans will likely be in attendance at The Manchester Arena, not buying the fight on TV). Hearn said he is not at all concerned over the possibility of the Frampton-Warrington show hurting his P-P-V buys, but in truth surely both cards will pull in a big number of fans. Again, it’s unfaor for fans to ever have to choose between two potentially great fights but this is what we fight fans will indeed likely face come December 22. For what it’s worth, I’ll buy the heavyweight war (and can it really be naything but war when Chisora and Whyte lock horns again!). How about you?